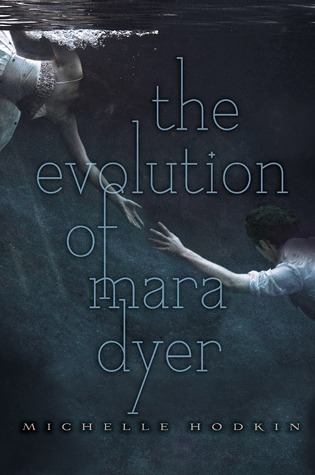 If I thought the first book was serious, then this took Mara’s story to a whole new level. It’s difficult to write reviews about this series because if I say too much then the whole thing will be spoiled, and I think this is the perfect book series to go into knowing nothing about them, in order to really appreciate the plot twists and darkness. The plot thickens as Mara’s mind unravels and the essence of the supernatural increases. I love the direction these books are heading in, sort of ‘The Darkest Minds’-esque but just with more murder. There’s definitely a lot of added threat in this book as the skeptical doctors are introduced, and Jude’s malice and desperation for revenge grows stronger. As if Mara didn’t already have enough problems, she has to deal with the anxiety and paranoia of being followed by someone believed to be dead. If these books have taught me anything so far it’s not to be judgemental and to actually believe what people are dealing with. It’s so easy just to ignore things that you don’t understand, label the thing as weird and never think of it again. Mara would have had a much easier time of someone else other than Noah believed what was happening to her. Noah becomes a permanent fixture in her life and their relationship becomes a little more…steamy? For seventeen year olds, they’re dealing with their situation in a very mature way and seem to know their limits. It’s lovely to read a romance sub-plot that doesn’t fit the bad-boy tropes. Finally, an interesting addition was made to the narrative. Mara, when she’s dreaming, is transported into the life of her grandmother and learns something about her heritage that might be linked to her supernatural abilities. The science of it is explained in a way that didn’t alienate me, but didn’t seem too far-fetched either. Overal, I’d give this book 4 stars. Another consistent rating, because the mystery and intrigue is keeping me interested in this series. Although it’s not something I’d usually read, the pure originality of the series makes me feel glad I stepped out of my comfort zone!